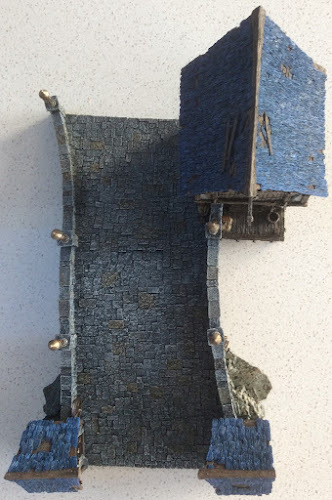 Probably the most enjoyable part of the "hobby" for me is making terrain. 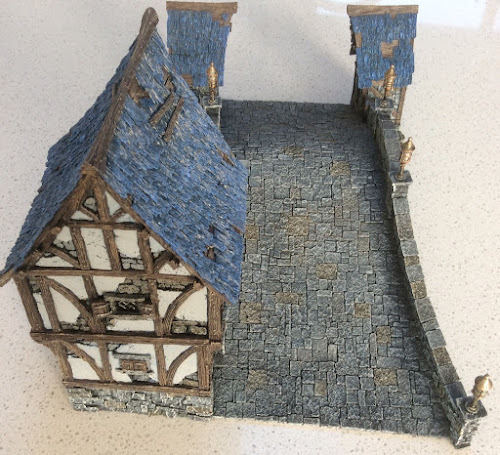 I love constructing and painting pieces for the tabletop and believe that there is nothing better than seeing two well painted armies fighting out over equally well painted terrain. I really dislike seeing tables with felt cutouts or cardboard hills etc. 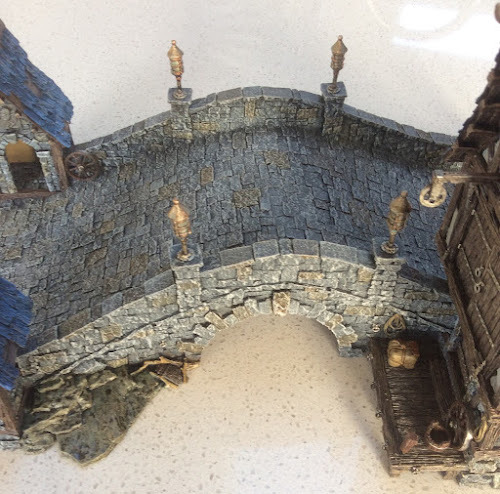 Earlier this year I bought Tabletop World's latest resin terrain piece, the Stone Bridge. Bitten by the terrain bug over the past week, I sat down to paint it while I watched the cricket. 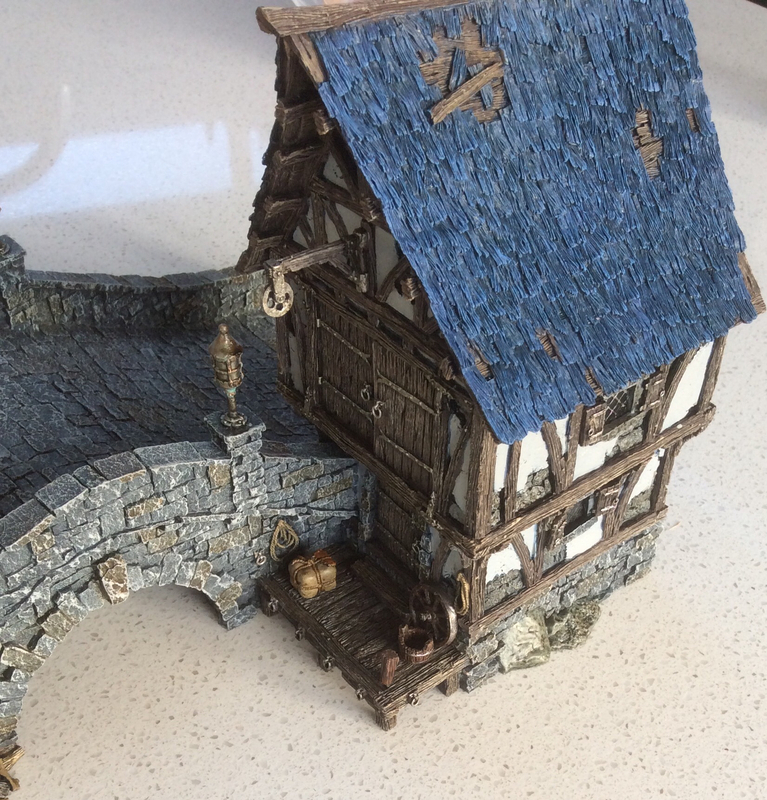 In the past I have done all my terrain largely by hand but this time I used my airbrush to lay down the base colours. 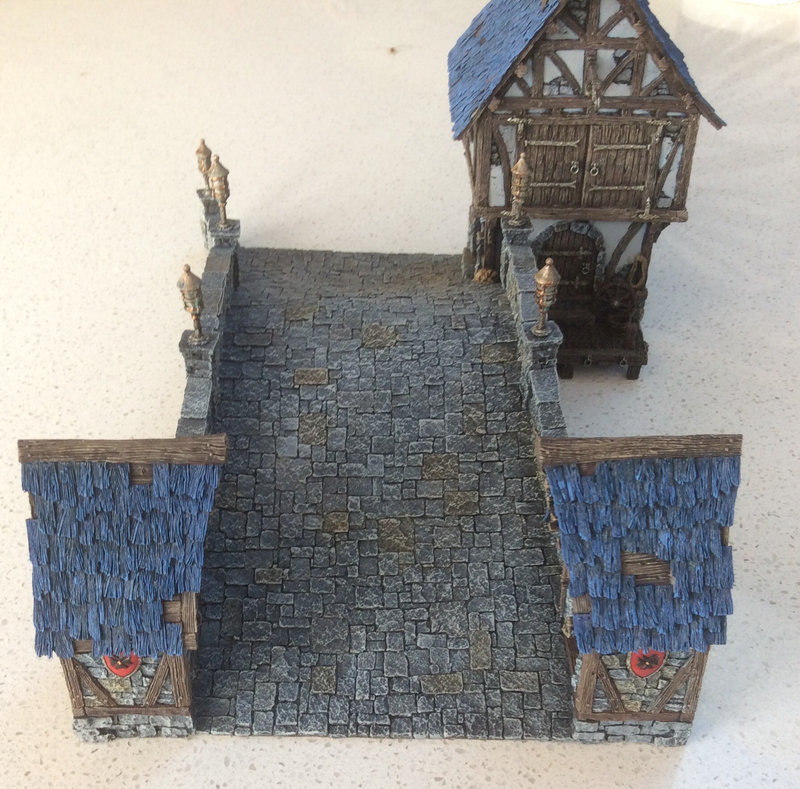 This really cut out a big swathe of work and ensured I got a nice even base to work off. 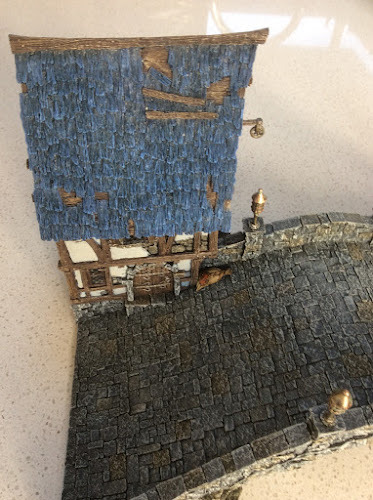 And though I didn't take any pics you can remove the various floors in the house revealing the interior which I painted. Here are some pics of the finished piece. 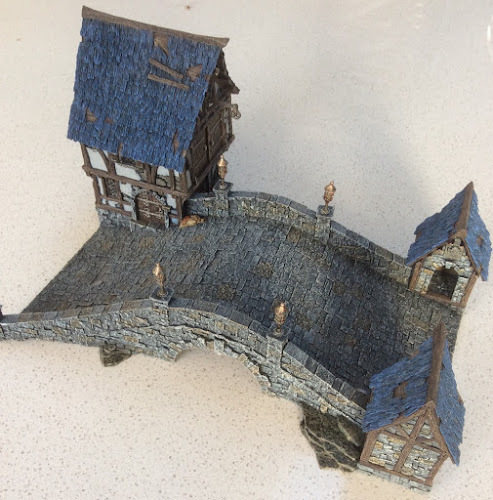 I just need to base and I'm waiting to get some river sections to do that. What surface do you play on? Photo is on my benchtop! 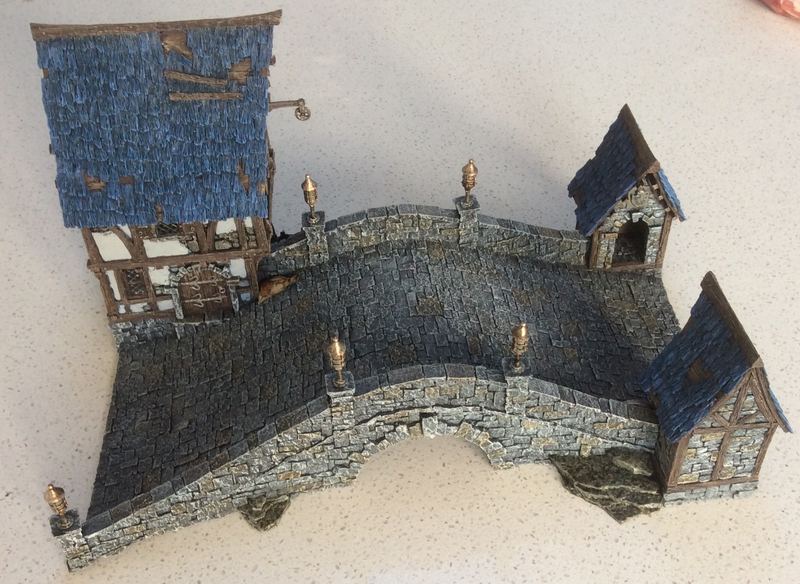 Generally play on GW Realm of Battle, Citadel Battlemat or FAT gaming mat. Looks great, really like your work on terrain pieces. 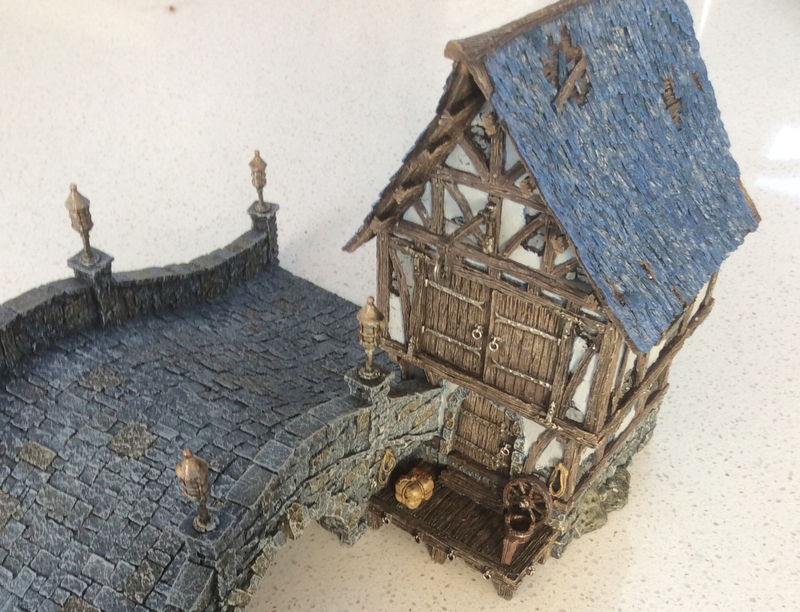 Tabletop World sure do superb stuff, just been checking out their new Town Gatehouse, it's awesome. 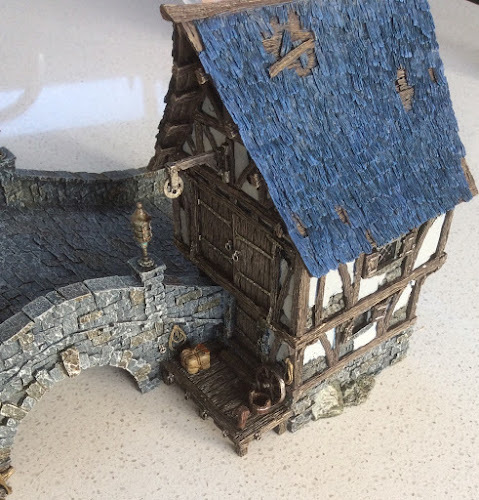 That gate tower is absolutely fantastic - and priced as such!